a really great cover, i like the emotion in this song and it's meaning in the context of the show! Actually find this to be quite alright. In the same boat as Lifter, one of the very few to get above 2 stars, but I actually still find the original to be better. Kümmerlich verunglücktes Cover des Katy Perry-Songs. This is so gay it ain't funny! If i were to ever walk into a room and guys started busting out this kinda song i'd probly die! Weird. I prefer the original arrangement, but this isn't a disgrace. Das hört sich so blöd an, abnormal! Wieder mal macht Glee aus einem 2-3-Sternesong eine Perle. 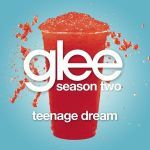 This is the material Glee should be doing more of, Don't Stop Believing is another excellent example, otherwise they're not going to get any more credibility from the absolute zero that I've given them so far. Solche unbekannte Billig-Mucke wie das hier können die meinetwegen verschandeln, aber bitte keine Klassiker. It's alright vocally but male vocals don't suit the song imo. One of the better things Glee has done. Somehow better then the original. 2 - 2.5.